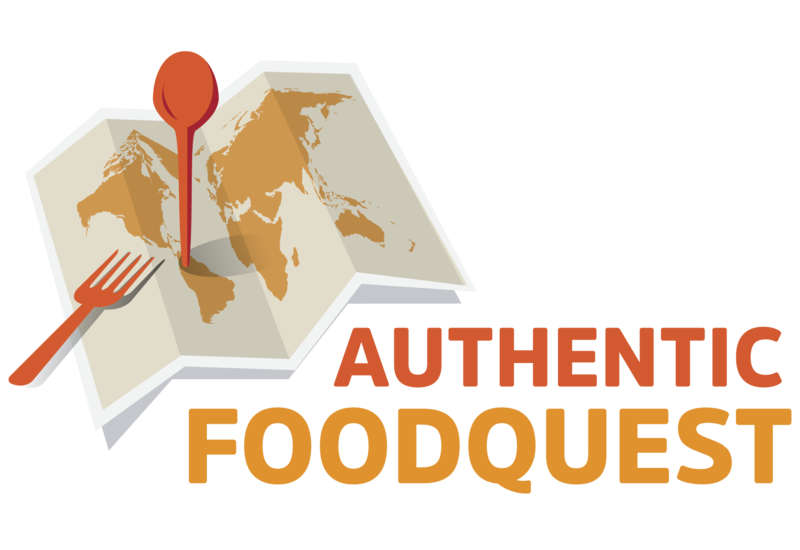 Understanding the local culture through food is our goal at Authentic Food Quest. Our mission is to inspire people to travel through authentic food. To help you and the travelers in your life appreciate the local flavors better, we’ve put together gifts for food travelers that will make you drool. We hope this list inspires you to Savor your Adventures in 2017. To better understand the local cuisine and culture while traveling, taking food tours or cooking classes, or even sharing meals with locals are great ways to connect. 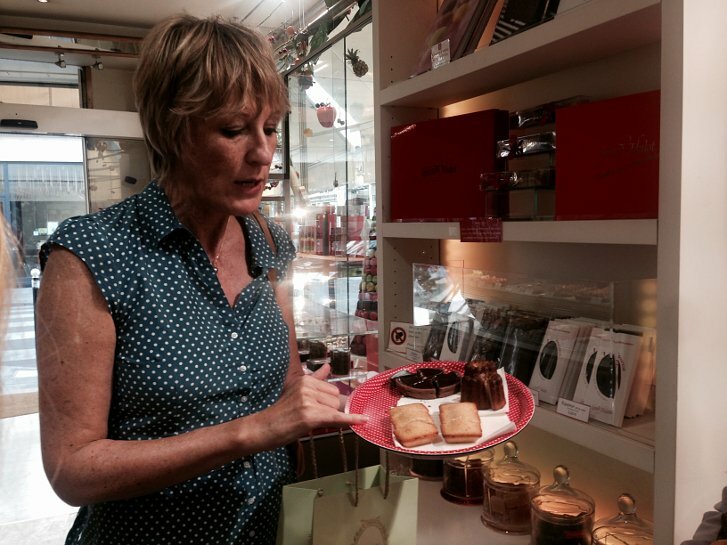 Context Travel in Paris offers delicious tours including the Chocolate and Pastries tour in Paris. 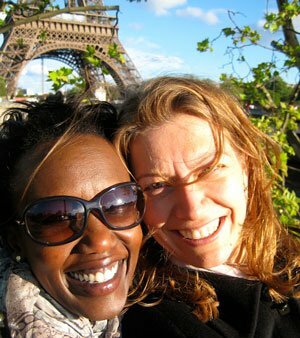 To book a tour simply click on this link: Paris chocolate tour. To read about our experience, please check our article: Paris Chocolate Tour: The Best Way To Treat Yourself. If gourmet chocolate is not your thing, Context Travel also offers tours for wine lovers, cheese lovers, and Paris market walks. There is no better way to spend an afternoon learning more about French gastronomy and delicious treats. If your travels take you to South America, don’t miss out on visiting the wineries or taking a food tour in the region. With our partner Daytours4u, you will find tours in Argentina including Buenos Aires, Chile, and Uruguay. You can read the full review of our experiences in Buenos Aires, or in Uruguay. For each of these tours, Daytours4u offers a discount for the Authentic Food Quest readers. Check the article and scroll down, there you will find the code to input when booking your tour online. 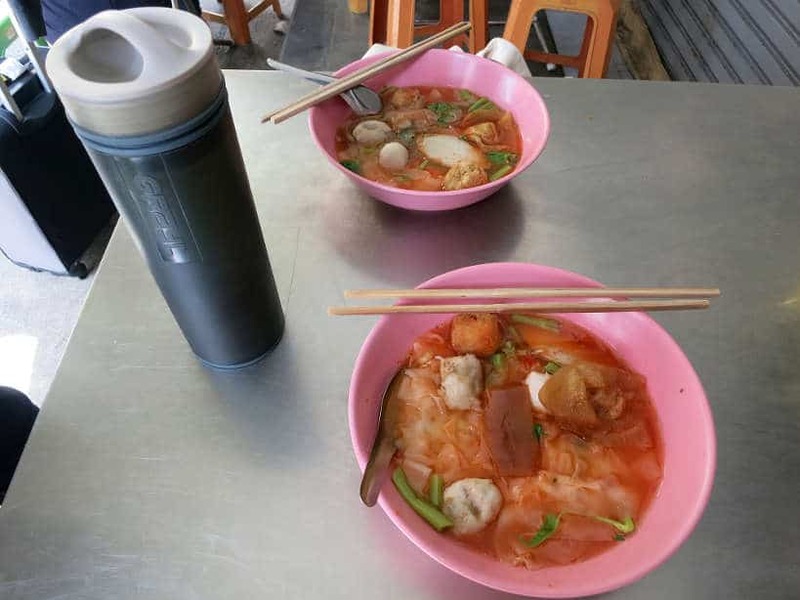 Thailand is known for its amazing street food. 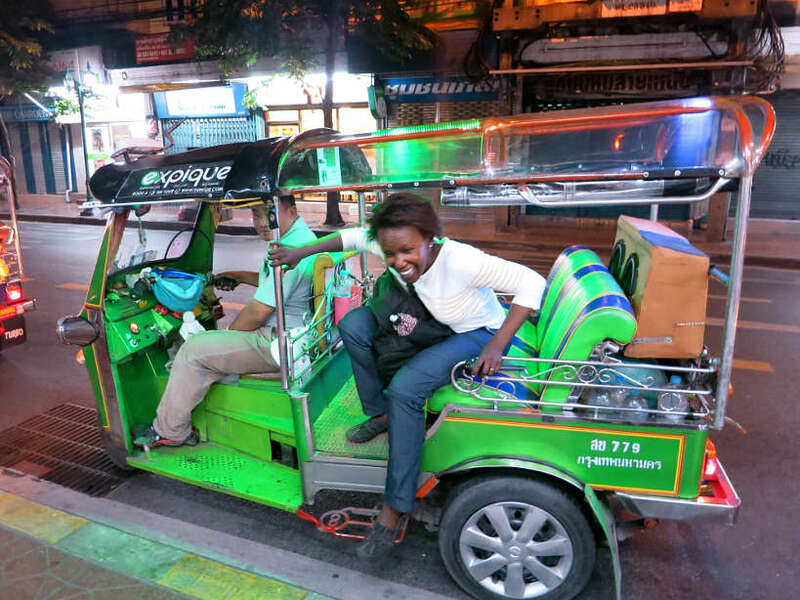 Our partner, Expique does a great job of taking you on an evening of food and Tuk Tuk adventures. After taking their tour, we recommend, especially for the first time visitors to Thailand. We will be publishing an article about our experience shortly! Based in New York City, The League of Kitchens offers cooking classes with a deep cultural focus. They focus on cultural immersions through food. The cooking instructors are immigrants who teach cooking workshops in their homes. You get to eat local food in a local’s home, prepared by a local while learning about the culture. Cookly, offers cooking classes across Southeast Asia. Taking cooking classes while traveling can be a great way to learn new recipes and new techniques while learning about a country’s culture. This would make a great gift for food travelers and you can check out their cooking classes here. Airbnb continues to be our preferred choice when it comes to accommodations. It is a great way to get to know locals and the local culture. One thing that we like is having access to a kitchen to cook and try many local products. In some cases, with Airbnb, you may even have the opportunity to share meals with locals. We’ve enjoyed many great exchanges over meals with locals and wrote about the 5 Reasons Why You Want To Stay With Locals On Your Travels. 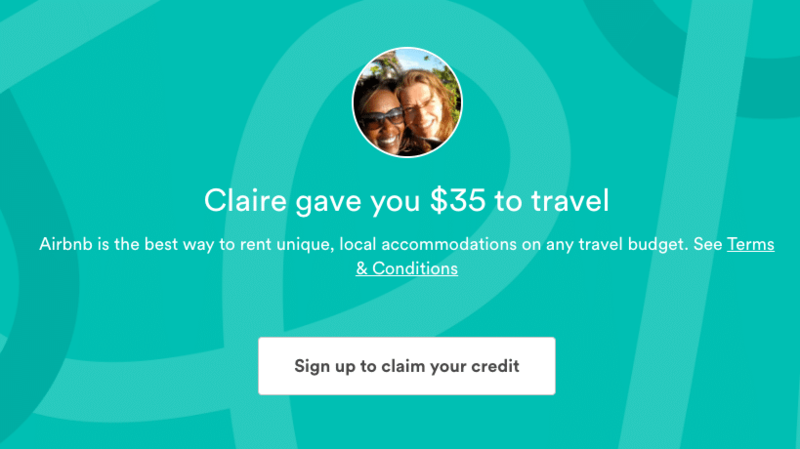 If you have never used Airbnb, you can use our weblink to get $35 off your next trip on Airbnb. You can also offer a gift card that is redeemable online to the people in your life who love to travel. One of the best parts of travel is discovering and eating the local and authentic foods of the region. 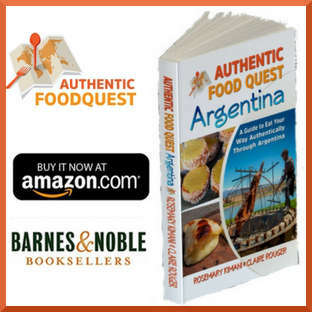 What is even better is having a guide that is chalk full of information and one that takes the hassle out of doing all the research about Argentine cuisine. 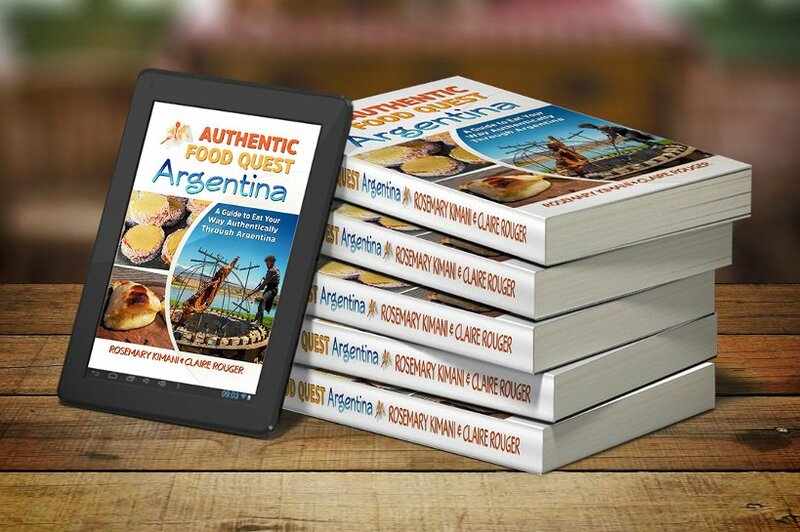 Authentic Food Quest Argentina, our first food and travel guide book, is filled with local food adventures, Argentine food experiences and travel tips on how to get the most authentic experience around the country. 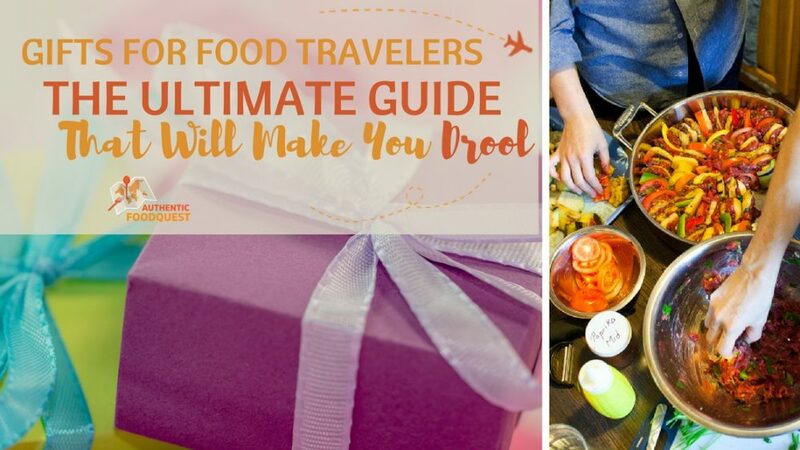 Get this perfect gift for food travelers and armchair travelers alike. There is only one chef that best defines Argentine cuisine, and his name is Francis Mallmann. We had the pleasure of meeting Francis Mallmann, in Buenos Aires and he shared insights about the Argentinian grilling culture. 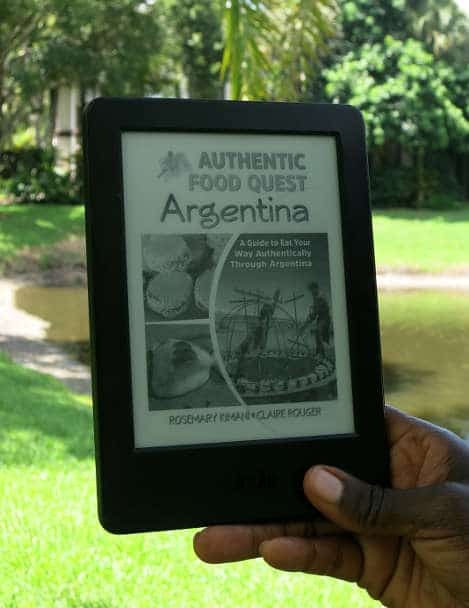 If you enjoy grilling and are looking for new tips and recipes, check out the recipes in this book and learn to grill like an Argentine. Discovering the cuisine of the Philippines is one of the distinct pleasures we have enjoyed on our quest in Southeast Asia. 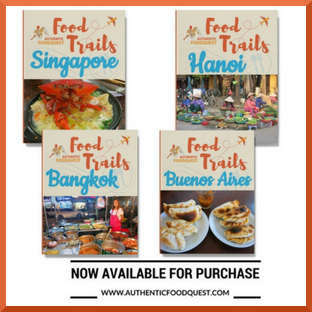 The diversity of the archipelago (over 7,000 islands) coupled with the influences of Malaysia and Indonesia, China and India, Mexico, Spain and the U.S. gives Filipino cuisine a vibrant personality. In Pampanga, the Culinary Capital of the Philippines, we had the pleasure of meeting Claude Tayag, one of the most famous chefs in the Philippines. 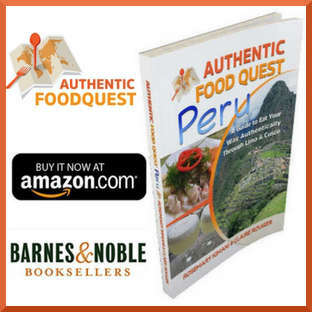 In their book, he and his wife eat their way across the country and tell the stories of the traditional cuisine. This makes a tasty gift for people who love to travel. Anthony Bourdain, author and host of the CNN show, Parts Unknown recently published his latest book, Appetites. This recipe book is filled with inspiration from France to Vietnamese street food. The recipes, for the most part, are not exotic as some of the places he has visited, but they are authentic. If you love home cooking and entertaining, check out this cookbook. For many of us, having clean and potable water is something that we take granted. However, when you are traveling you cannot make the same assumption. Safety and accessibility to drinking water is a luxury in many countries. On our travels, we carry with us Grayl Water Purifier bottles. These light-weight bottles can make clean and purified water in less than 15 seconds. From making drinking water, cooking water and water for coffee, these water bottles provide safe water anywhere. One added bonus is that you don’t need to buy plastic bottles, and can do your part for the environment. One of the worst things that can happen on your travels is having your money or important documents stolen. It does not matter if you are traveling to relatively safe cities like Paris, Bangkok, Buenos Aires or even in your own hometown. Thieves and pickpockets are incredibly savvy and they use all sorts of scams to separate you from your valuables. The best solutions we have found to keep our valuables safe are our shirts and pants from Clever Travel Companion. With the secret pockets that are perfectly built for passports, phone or money, you can’t go with pick-pocket proof clothing. Keep the food travelers in your life safe with the secretly hidden pockets of Clever Travel Companion clothes. Have you ever been in a situation where all you needed was a knife to cut that slice. Or, a bottle opener to pop open that local beer. Or a can opener for that last ingredient to complete your meal. Traveling with a Swiss Army knife comes in handy. With the multiple functionalities, we have used ours for cutting cheese, cold cuts, fruits and vegetables when hiking. Or as a knife, when cooking and preparing a meal. This is a great gift for people who love to travel, but make sure to pack it in your checked luggage. In this day and age staying connected while traveling is a necessity. As a foodie traveler, you may need Google Maps to find directions to the local market. Internet access comes in handy to find that local and authentic restaurant and book reservations. Figuring out how to get there on the local buses or train/metro is so much easier when you are connected. The two services we use to stay connected on our travels are Tep Wireless and Flexiroam X. Reliable internet access is hard to guarantee on one’s travels. We have found ourselves in many situations where we have had slow or intermittent internet access. Since we work on the road, having reliable access is a must. 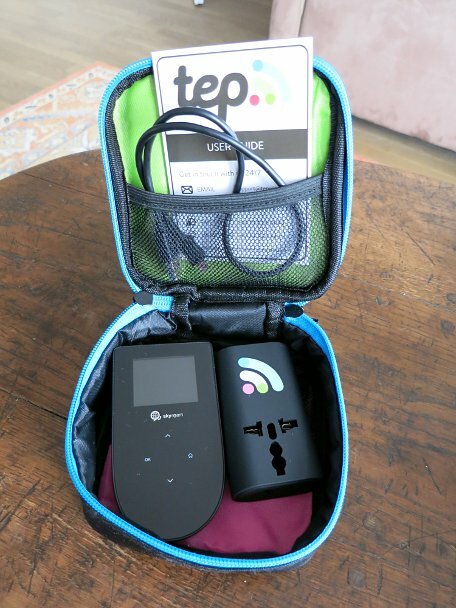 We recently started using TEP Wireless and it has already saved us on multiple occasions. It is a small portable Wi-Fi device that allows you to connect up to 5 devices. If you are traveling as a couple or a family, stay connected with Tep Wireless. 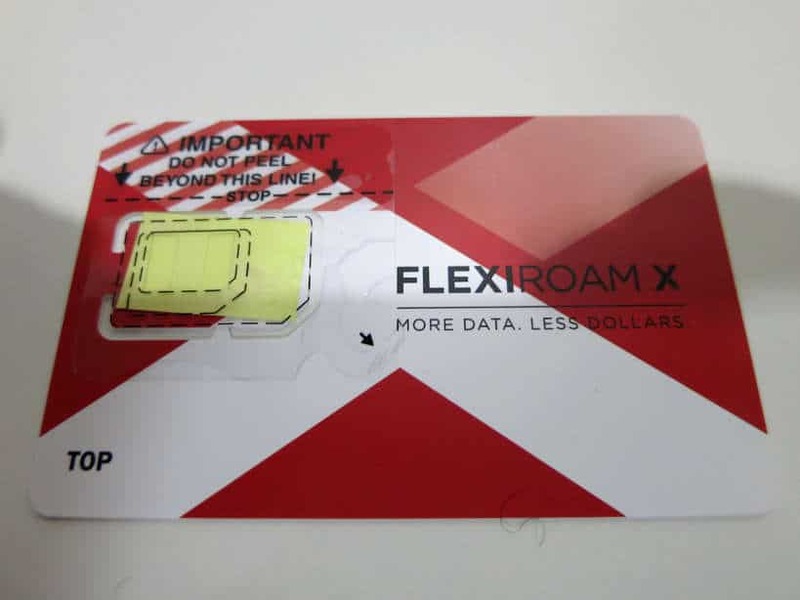 Flexiroam X offers a new way to roam internationally, without incurring the huge roaming fees. You get a tiny microchip that you attach to your SIM card. If you use the referral code AFQROAM, you will earn 100 MB of free data and you will automatically get 100 MB when you sign up at Flexiroam X. Flexiroam X service covers more than 100 countries around the globe. When traveling, the last thing you want is to have your reading material or books weigh you down. This could be travel books, your own personal reading material or the culinary books we mention above. Thanks to the Amazon Kindle you can carry all your books on one single device that is much lighter than a paperback book. One feature that we use often when in a new location is the Family Book Sharing function. This allows you to read the same book, at the same time on different devices. Consider carrying a Kindle with you for your upcoming travels. 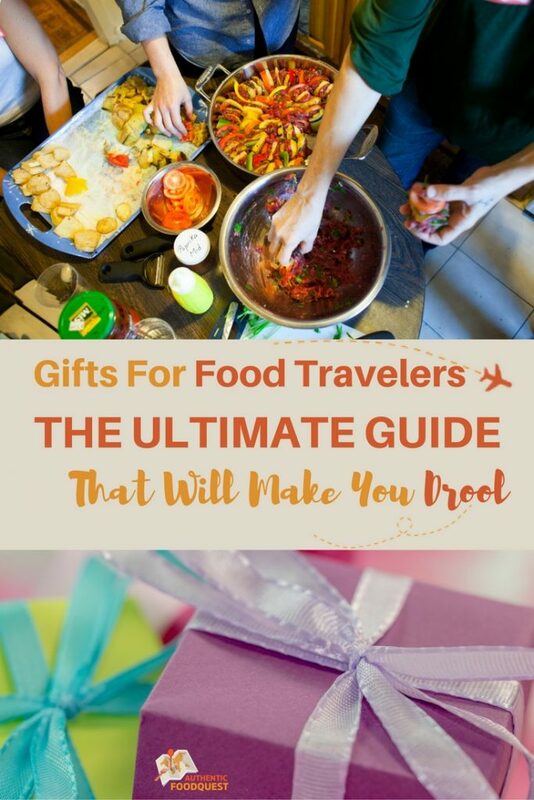 Are there any gifts for food travelers that you like on here? Why not share this article with your friends and family…and drop a subtle hint? I love this. One of my favorite ways to experience a new place is through the local cuisine and eating establishments. I particularly love chatting with locals when visiting different restaurants. I have never thought about taking in a cooking class but might look into this. That’s great to hear Gina that you already love connecting with locals on your travels. Take it a step further and take a cooking class, you will enjoy eating and learning to “make the local culture” as well. 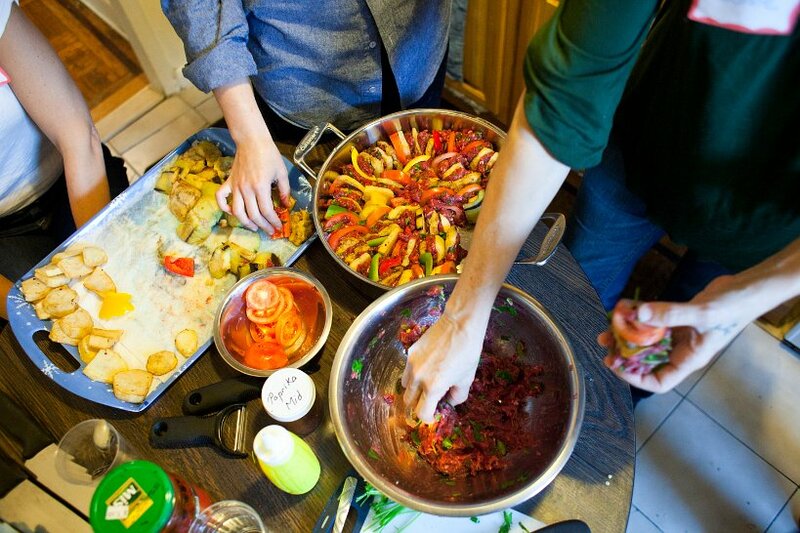 Do let us know where you end up taking your cooking class on your next trip. Thanks for your comments! This is indeed a wonderful food guide. I will keep it in mind as I travel. Wow! Dynamic list. I love the chocolate / wine tours as well as the Swiss knife. Most of all I love the water bottle. It would save me from constantly being paranoid lol. This looks like so much fun and so delicious too! I seriously want cooking classes and staying connected! Great guide and range for gifts. Thanks Vincent. Do take a cooking class on your next trip and enjoy the introduction to new tastes and flavors. Thanks for your comments! Thanks Fiona. What have been your favorite cooking classes so far? Do let us know. Cheers! Thanks Valerie for your support. Glad you enjoyed the list and the idea of giving food tours as gifts. 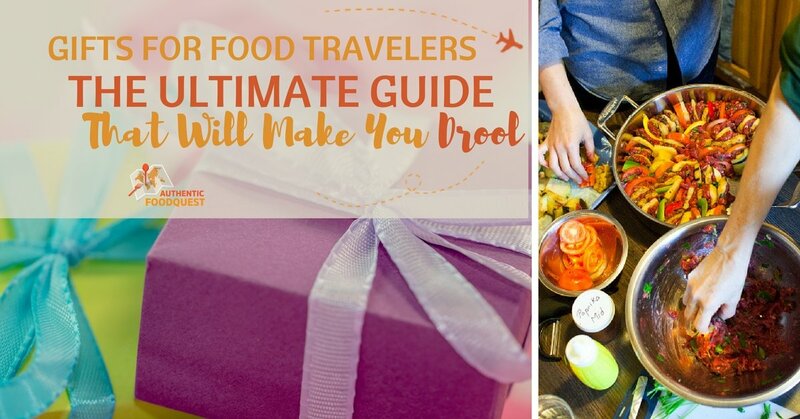 It’s the perfect gift for foodie travelers. Appreciate your feedback, thanks! I love the idea of the t-shirt with pockets. As for the wireless devices, i recently trialled something and found that although it really helped me out, it was still quite slow because it was dependent on the local infrastructure. Was this the case with your device? 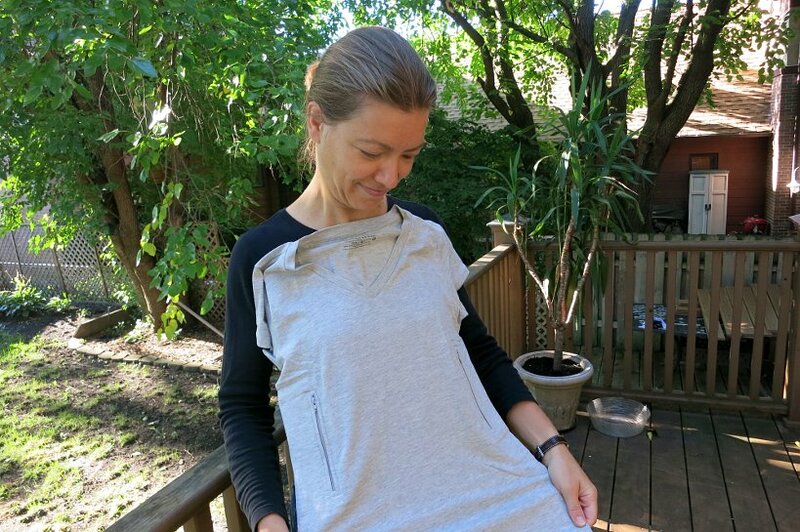 Hi Anne, glad you like the pickpocket proof t-shirt. It’s come in handy quite a bit already 🙂 The TEP wireless device works really well, though as you mentioned it is dependent on the local infrastructure. We used it to upload video and that worked out well 🙂 Check TEP wireless out if you are looking for another option. Cheers! I like the pick pocket proof clothing and the water bottles. Both are unseen here yet. Thanks Indrani, glad to hear you like the list of foodie traveler gift ideas. There is indeed a lot to choose from 🙂 Let us know if you do get anything. Appreciate your comments! What a comprehensive and unique list for foodie travelers! Would love to visit each country and take the tours! I love giving food items as gifts. Transporting them home takes some doing, even to ship but it’s worth the effort – especially accompanied by a story. We totally agree Mar, gifts should be about experiences which can be savored for years, and not items which lose “value” after a short period of time 🙂 The Flexiroam X plan does come in handy. Check it out 🙂 Cheers! I didn’t realize you had a book out – that’s awesome! I just published a guide too. I’ll have to check yours out! Never been to Argentina so it will definitely be a good reference when the opportunity comes. I can’t believe I’ve never done a food tour – maybe if I share this post someone will gift me one lol! That’s awesome Francesca that you have a guide book as well. Let us know what it is and we’ll check it out. 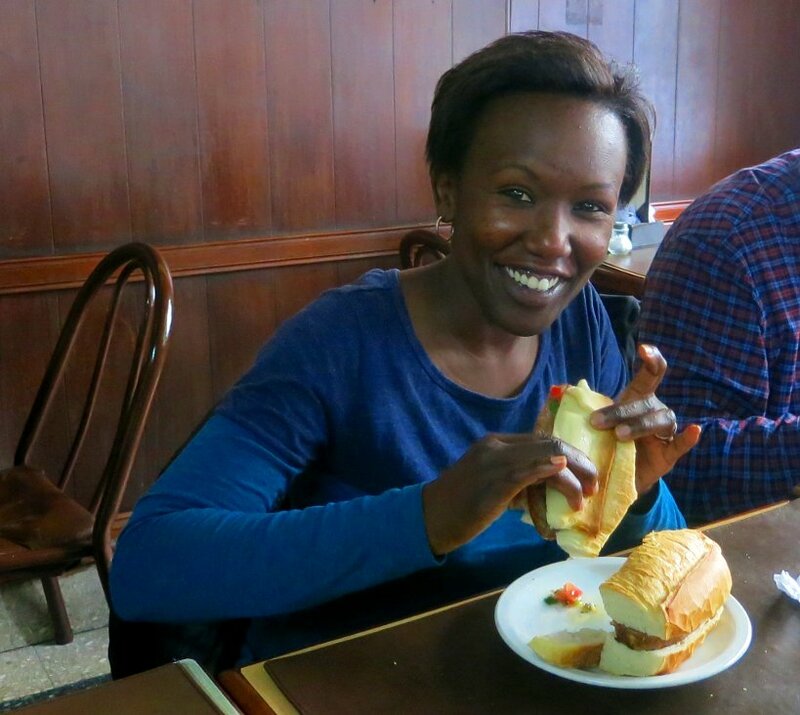 Definitively, a food tour is the way to go to learn more about the local cuisine. For sure, please share the post and you may just end up with a food tour gift 🙂 Thanks for your comments. These types of tours are always a great way to really experience the authentic culture. Sometimes, you are just not lucky enough to meet the locals, so it’s a way to make sure that you get a bit of time to connect with the people. All of the gifts look awesome! I’m glad that you love Filipino food. I believe that it’s not yet that popular compared to Thai food. But slowly, our cuisine is emerging worldwide. What’s your favorite Filipino food? Hi Trisha, it’s true that Filipino food is not quite popular yet and that is why we included Claude Tayag’s cookbook. That’s a tough one, our favorite Filipino food….there are several, but we will have to say lechon is at the top of the list. What about you? What an elaborate list! I think a chocolate tour in Paris would be my favourite, desserts, romance and history! Glad you like the list Rosemarie. The Paris Chocolate tour was amazing and does make a great gift. Feel free to share this article with your friends and family for hints for what you’d like this holiday season. Thanks for stopping by. We also took a tour with Context in Paris that was awesome. I look forward to trying some of your other recommendations as we continue to travel. Great to hear that you enjoyed your tour with Context Travels in Paris as well. Truly a great experience and makes a terrific gift. Thanks for following along and we will keep sharing recommendations. Cheers! Certainly a gift that any foodie would adore. Who wouldn’t want a hands on guide to the best that cities have to offer! Lovely. So glad to hear Kristy that you like the gift guide and especially the Argentina guide. It does make things alot easier if you have the “inside scoop” of where to go and what to eat 🙂 Thanks for your comments.